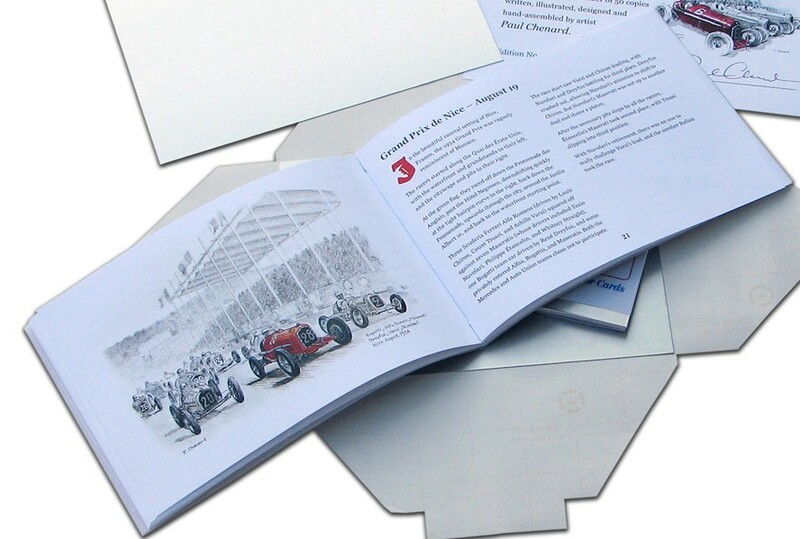 Silver Clouds: The 1934 Grand Prix Season written and illustrated by renowned motorsport artist Paul Chenard of Halifax, Nova Scotia is a nicely crafted and creatively packaged piece that any automotive historian or Grand Prix enthusiast will find incredibly entertaining. 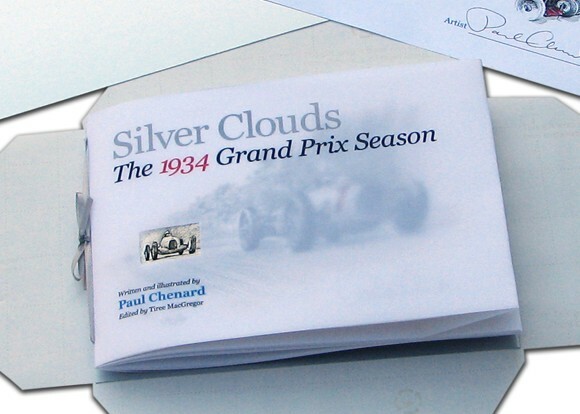 Chenard’s short, but insightful; forty-four page book provides a historical snap shot of one of the most epic seasons the Grand Prix scene has ever witnessed. 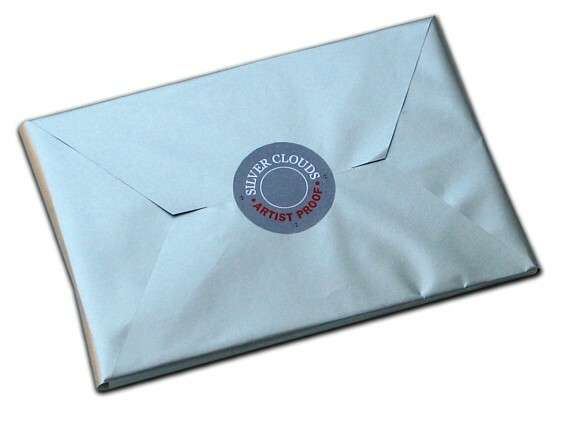 It should be mentioned that just 50 copies of this book will be made available to collectors across the globe, each with their own certificate of authenticity signed and numbered by the author/illustrator. The 1934 season was the first season of the 750kg formula, aimed at hopefully slowing the cars down, as veteran teams like Bugatti, Maserati, and Alfa Romeo had continuously evolved their racing cars into incredibly fast and beautiful machines. What caught everyone off guard was the arrival of two manufacturers from Germany that had a thorough and well-organized plan to conquer Grand Prix racing in its entirety. Mercedes Benz and Auto Union arrived that year to display their new weapons of speed, and the world sat up and immediately took notice. 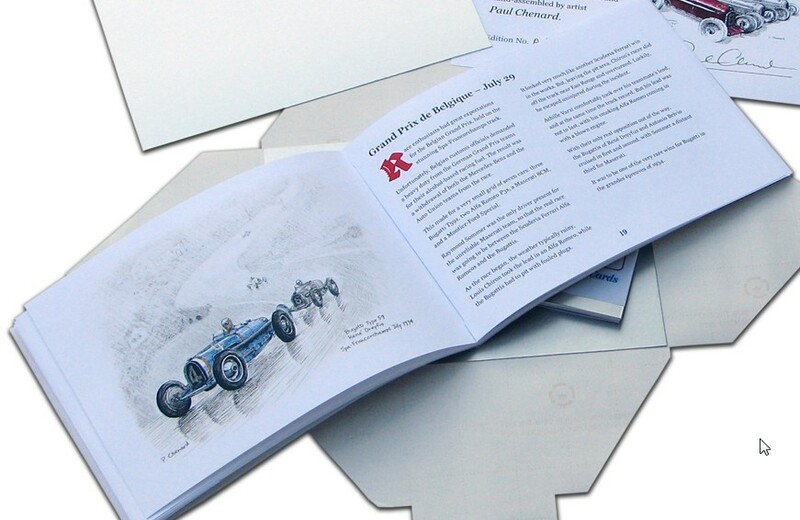 In Chenard’s book, the format is quite simple in that the author/illustrator provides one of his own illustrated pictures of these immortal cars being wielded by heroes of speed from each of the Grand Prix races that is discussed. The illustration is then followed by a one page synopsis of the race and the events that took place throughout the meeting. Races like the 1934 Monaco Grand Prix, Grand Prix of Italy, and the Circuito Di Modena Grand Prix are all covered. The book then turns to a biographical section in which the author/illustrator provides a one-page written biography and illustrated portrait for many of the prime movers from the 1934 season. People like Bugatti, von Brauchitsch, and Dreyfus are just a few of the characters outlined in this section. 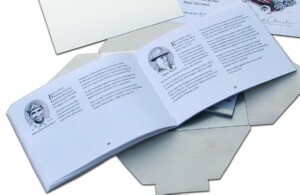 While the book is somewhat small in size, measuring just 7.5 inches across and a mere 5 inches from top to bottom, it provides a very unique perspective in that it allows the reader to thumb through the illustrations that otherwise would be ordered in a larger format for framing. 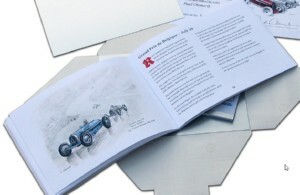 For automotive and Grand Prix art collectors, Chenard’s book is a must-have for the collection. In terms of the historical aspects represented in the publication, Silver Clouds: The 1934 Grand Prix Season does well to provide the reader with a basic view of the races profiled, as well as nicely written short pieces on a number of important individuals that played a key role in the history of Grand Prix racing. A relaxing read with enjoyable artwork of one of the most pivotal seasons in the history of Grand Prix racing.